Sam is desperate to go on a school trip to Scotland but his parents are very reluctant to let him because he has sickle cell disease and his health is a constant worry. This extra caution has led to Sam being the target for bullies and a reputation as a wimp at school. However amazingly Sam is allowed to go and he is really excited. Unfortunately, he is put in a group with the worst of his tormentors for an orienteering activity. The ring leader, Brandon, decides to break the ‘keep to the path rule’ to try to win putting the whole group in danger. Should Sam tell the adult group leader his companions have re drawn the map? The situation becomes life threatening when Brandon falls into a freezing and fast moving river and for Sam too when the conditions and his efforts to rescue his erstwhile tormentor trigger a medical emergency. An exciting story from former Children’s Laureate Malorie Blackman. 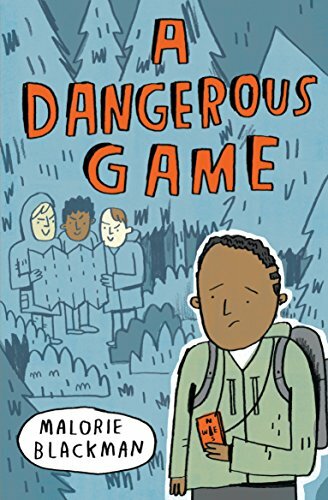 With themes of bullying, bravery, inner strength and resolve, it also provides an insight into the perspective of a sick child struggling to lead a normal life. In addition, there is the indication that what may seem annoying rules are often in place for a very good reason! With super readable text and presentation from Barrington Stoke, specialist publishers in this area, this is an accessible and exciting independent read for children 8+ who need to develop confidence and reading stamina.